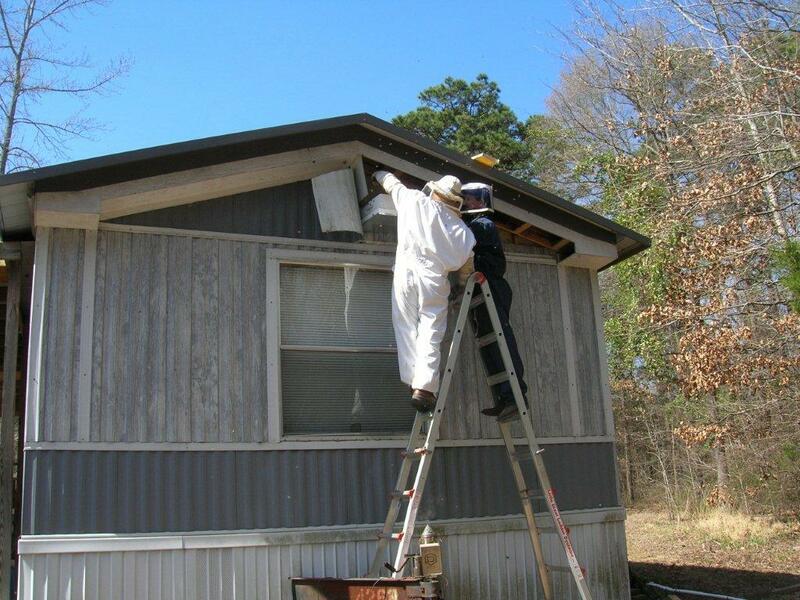 Honey bees can nest inside structures, such as outside walls, window frames, or roof eaves, and build a honey comb nest that will need to be removed after the colony is eradicated. 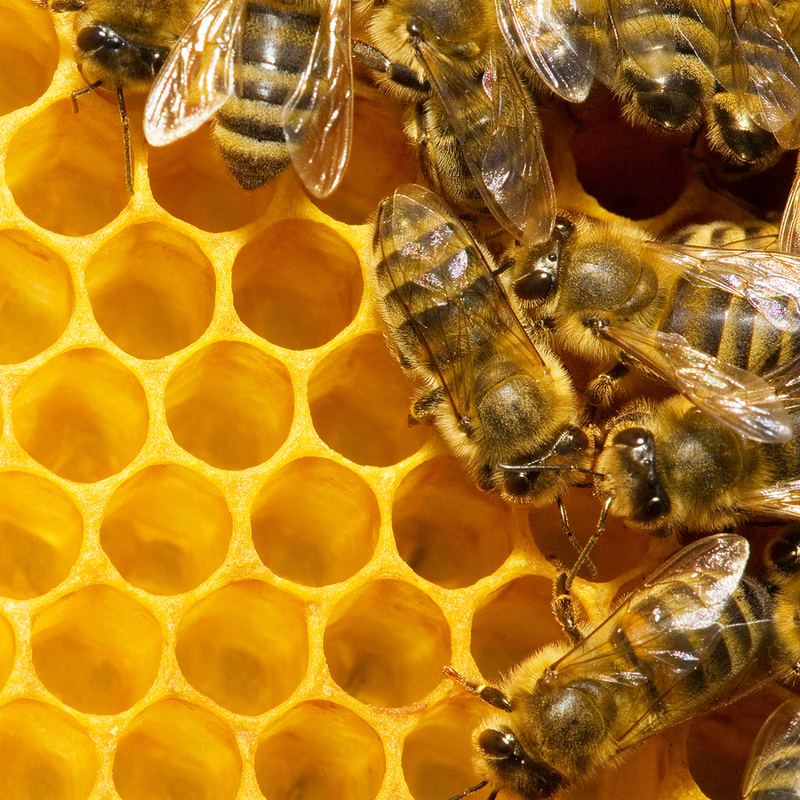 If not, the comb will quickly attract other bees which will inhabit the vacated comb either because they want to raid the honey or else are already looking for a nesting site. 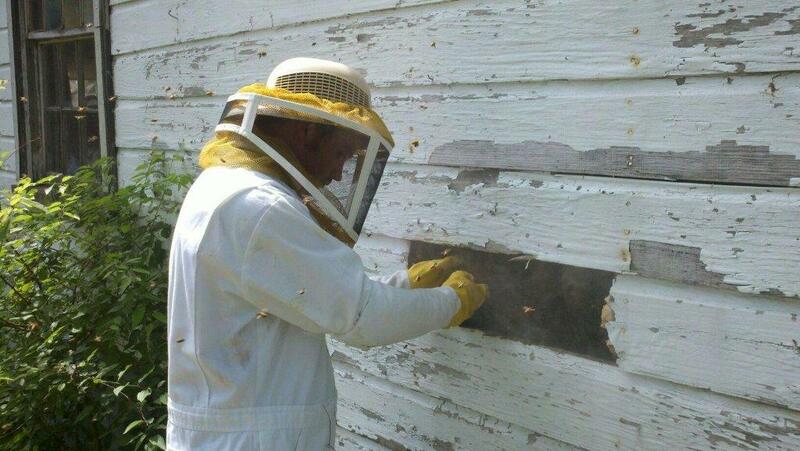 Additionally, Africanized Honey bees (aka, killer bees) are already known to be in our area of N.E. Texas and thus the risk is intensified. Only professional eradication is recommended!